The Taylor sundial is with the conserver now (Nov 2011) being restored and will be on display starting in early 2012 at the King & Queen County Historical Society Museum in King & Queen Court House (the name of the town). 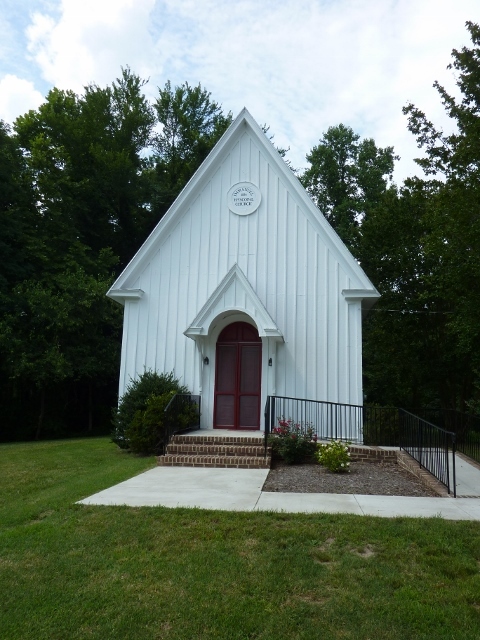 It is being loaned to the museum by the Immanuel Episcopal Church which is nearby. Both are located just off of Hwy 14 (The Trail) at State Rte. 681 (Allens Circle), King & Queen Co., VA.
Jon Boiven apparently manufactured clocks in the 1700s as there is currently (Nov 2011) a Boiven grandfather clock of that time period for sale online. Lattitude 38 degrees is the approximate lattitude of King & Queen County (there was no good way to figure longitude at the time). The Taylor family would like to thank all of those involved in this sundial project for all of their hard work &/or donations. Special thanks go to Scott Krechi, Minister, Harwood Hall, Senior Warden, and the congregation of Immanuel Episcopal Church; and Jack Spain and the King & Queen County Historical Society Museum. 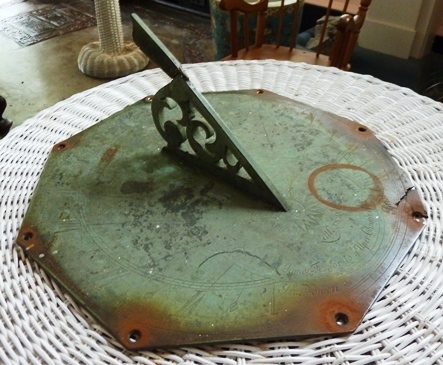 The sundial was given by Col. James Taylor II to the upper church of St. Stephens Parish also known as the Appletree Church. The site of the Appletree Church was most likely located at what was the brick church on Rosemont Road. The donation of the sundial may have coincided with the building of the new brick upper church of St. Stephens to replace the wooden church. Only some of the foundation of the brick church remains. Bricks from the Appletree Church were used to build a barn on Rosemount Farm across the road from the site. 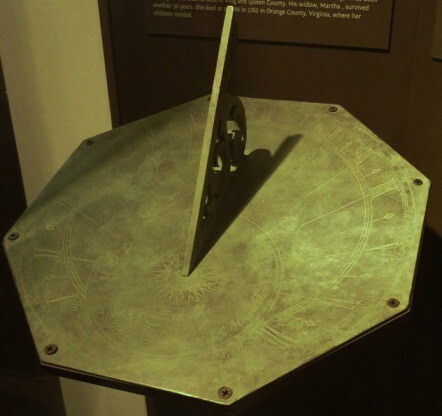 The restored sundial on display (June 2012). *The historical information in this short article was extracted from the copius research of Jack Spain for the sundial display at the museum. Pictures of the sundial were taken by me, Steve Taylor, in Richmond, VA, June 2011, at the home of Mr. & Mrs. Jack Spain of the King & Queen County Historical Society Museum.